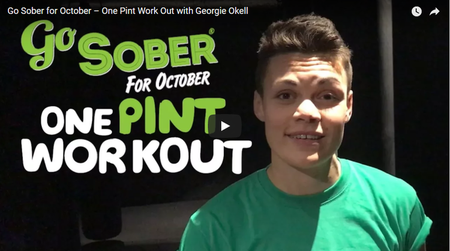 The One Pint Work Out is an exercise program that’s been designed to help burn off the amount of calories found in an average pint of lager in the time it takes to drink one. Personal Trainer to the stars Georgie Okell takes you through a 10 minute sweat-fest guaranteed to get you burning body fat. Maybe we over eat at a work function, or take a week off the gym because we’ve been feeling unwell. Or maybe we just feel bored with our current fitness routine. Whatever the trigger, the result is the same. Motivation takes a drastic nose-dive and we find ourselves frustrated, and perhaps even depressed at the fact that we just can’t seem to pull ourselves together and get back on track. So how can you get back on the health and fitness wagon?Well, here are my tips to help get you back to your healthy self again! We clean our homes, and we need to do the same with our bodies!Junk builds up within us that needs some serious detoxing. We cleanse through three of the body's main systems. The circulatory system pumps blood throughout the body – taking oxygen to cells whilst carrying the waste away. The digestive system processes the food we eat – absorbing the nutrients we need and eliminating anything we don’t. And then we have the lymphatic system, which collects fluid from our cells and sends it to the lymph nodes to ditch any harmful bacteria. The eliminatory organs (lower digestive system, liver, kidneys, lungs and skin) then help us to expel all of those nasty little toxins.